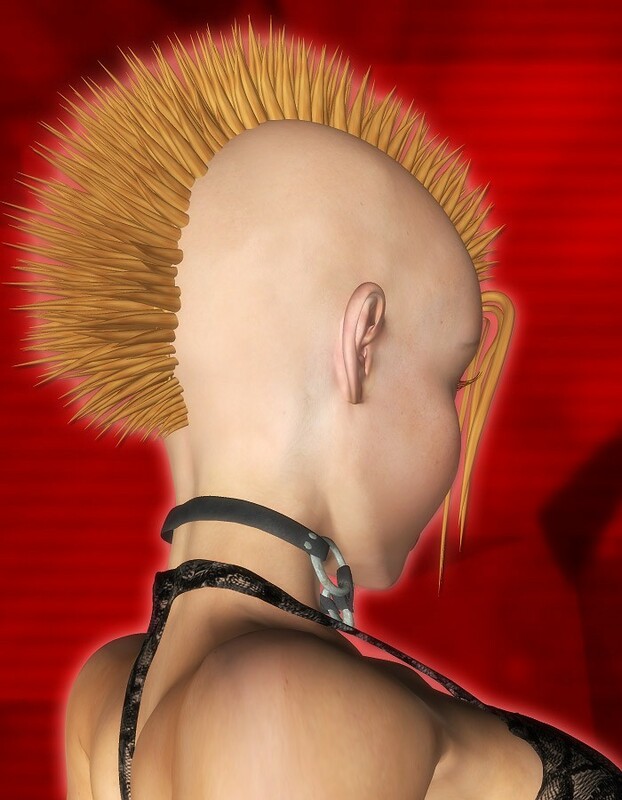 Rock on with this spiky punk hair for The Girl! The Mohair comes with a conforming hair prop with several blowing morphs. It also includes dozens of color choices, including multicolored stripes.